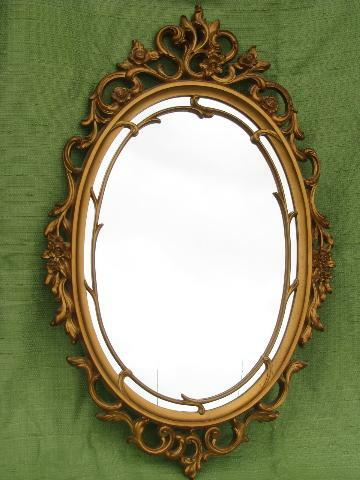 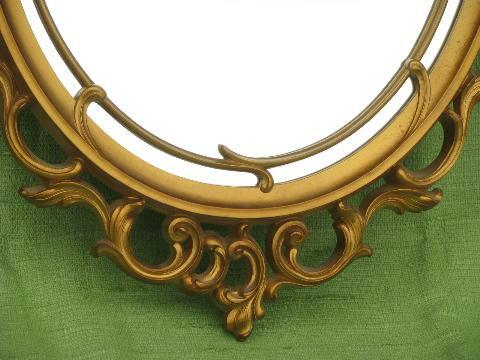 Vintage french country style mirror with ornate gold frame, a 1950s or 60s vintage Syroco piece, heavy plastic or composition with a antique gold finish. 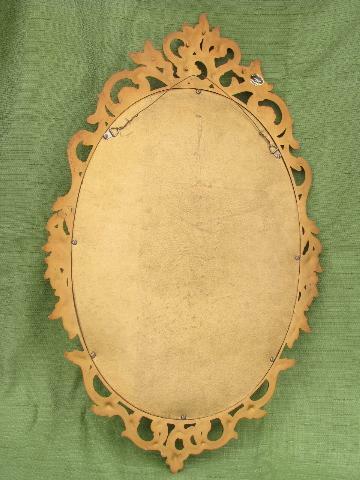 It's marked Syracuse Ornament Company, with Syroco label. 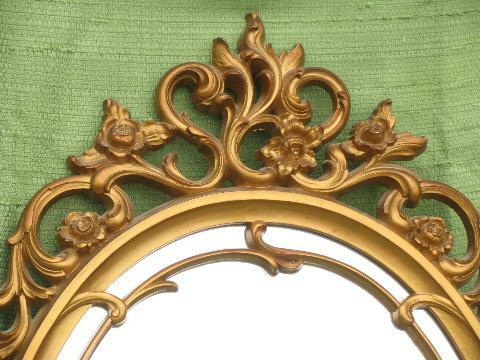 The frame measures 28 1/2" long overall, and both the glass mirror and frame are in excellent condition.